Up more than a hundred meters above the emerald waters of Boracay, we spied three small beaches lined with the island’s celebrated white powdery sand. These, unfortunately, falls near a land owned by a big resort and are usually off limits to the public. It was something we wouldn’t have seen if not for the vantage point we were in. No, we’re not on a helicopter tour of Boracay, we’re somewhere a lot cheaper but with relatively the same view sans the mobility, Mount Luho. HOW ABOUT A VISIT TO MOUNT LUHO? 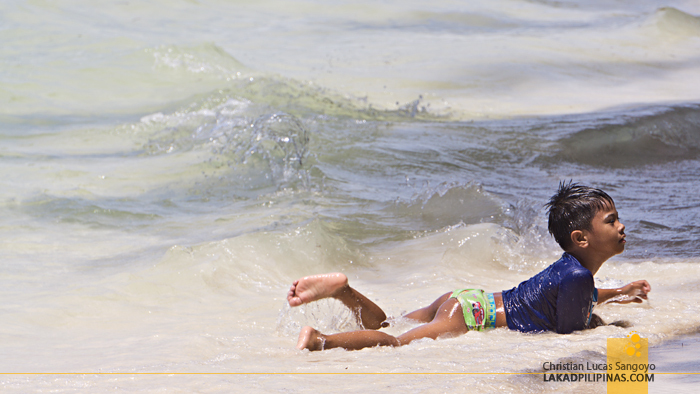 It was almost lunchtime but we were still waiting for one of our friends to arrive in Boracay. 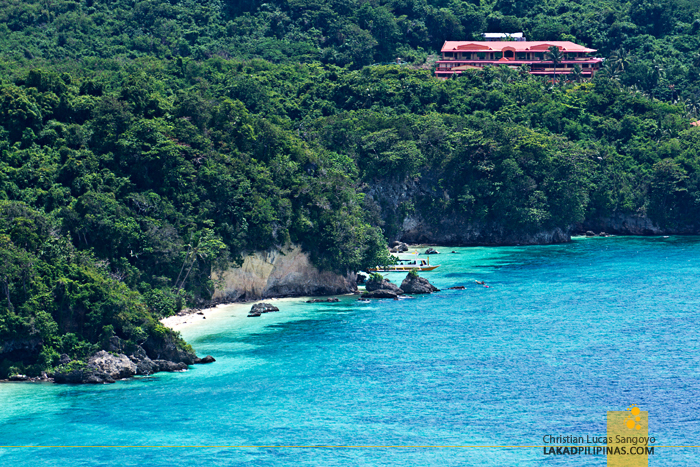 With nothing to do, one of the staff at Ferra Hotel Boracay suggested we visit the nearby Mount Luho. Well, we’re still full from their breakfast buffet anyways, so why not. Going there took us through Bulabog Beach, popular for its water activities rather than its sand, then up through a hilly road, dodging buggy and ATV riders, and finally to the drop-off point where the hike going up the mountain’s peak is located. 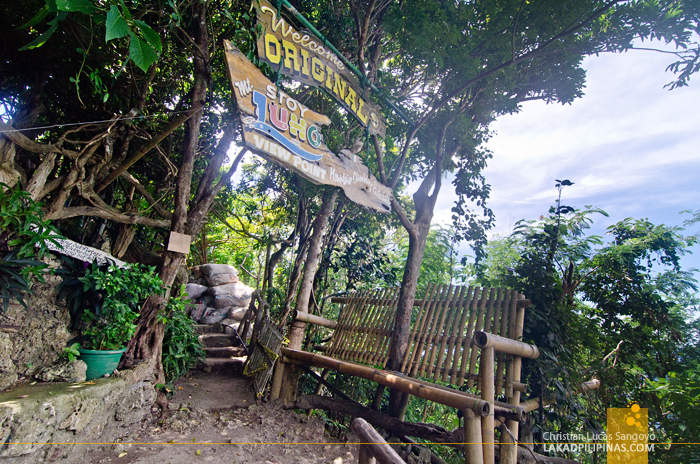 It’s actually walkable from Bulabog Beach, but if you don’t fancy walking uphill, you can flag down a tricycle for about PHP150.00, one way. Non-hikers that we are, we were bracing for a trek—we’re going up the peak, right? But we were assured that it’s very easy, Mount Luho, being quite low for a mountain. And easy it was. 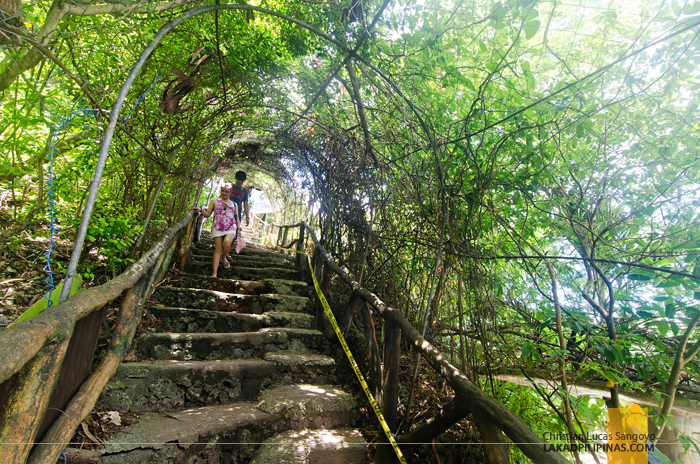 Paying for the requisite PHP120.00 entrance fee, the trail leading upwards is made up of concrete stairs and didn’t take ten minutes. My kind of apex assault, lol. Mount Luho actually has three view decks that I know of. The oldest one, Stoy Mt. Luho Viewpoint, seemed off limits at the time. This is the one with the wooden bridge and bamboo viewpoint. The second one, the Mt. Luho View Deck, with a proclamation that it’s new and safe on its sign board, is where we went. And third one, Happy Planet, which is accessed on a different part of the mountain, is the one with the cable car and zipline rides [BOOK DISCOUNTED RATES ONLINE]. There is actually a fourth one being built during our visit. And they said it would even be higher than the highest one to date, Mt. Luho View Deck. Okay, so we went to the second one. The stairs going up was littered with animals in cages, which I guess is a zoo of sorts. It was actually more sad than endearing. The animals having limited space and the cages in not so clean condition. I hope the owner would reconsider transferring these on proper places instead of adding them as attraction to the view deck. I mean, the view should be enough to make people go here. The view deck is actually a series of platforms set on a skeleton steel structure. 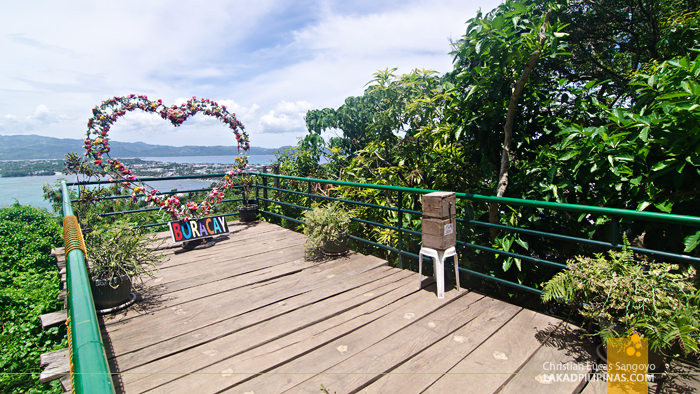 On the first level, they have a deck extending out with a heart-shaped bouquet that can frame a couple with a view of Boracay below. There’s no additional fee for this, but there’s a donation box, in case you’re feeling generous. 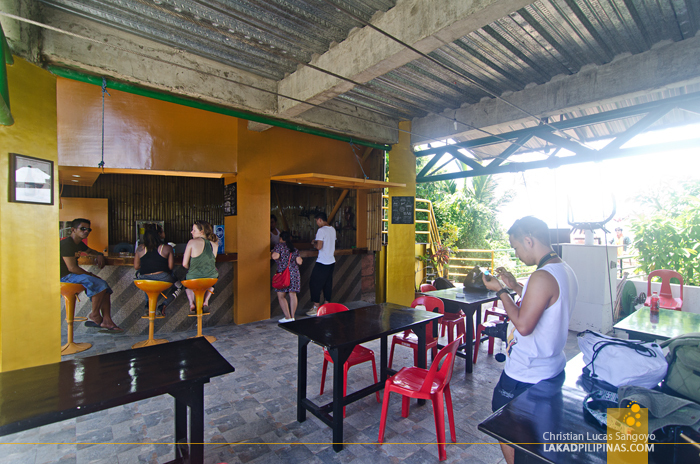 The second level, has a newly opened mini bar and snack area, complete with tables and chairs. 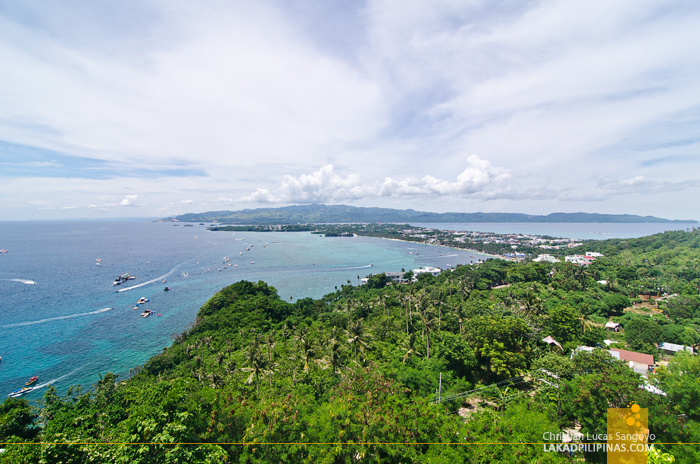 And on the final deck, there’s nothing but the view; a three-sixty view of Boracay Island. 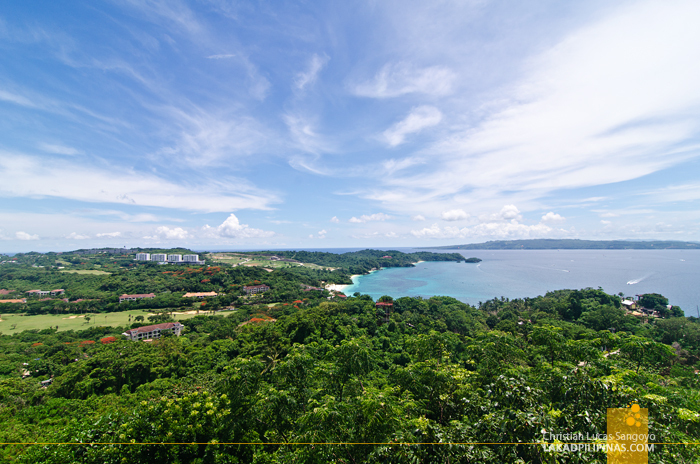 Turning counter-clockwise from the north, you can see the three beaches of Lapuz Lapuz—all private beaches from the Fairways & Bluewater Newcoast Resort; farther onwards, the public Ilig-Iligan Beach spreads its sands. 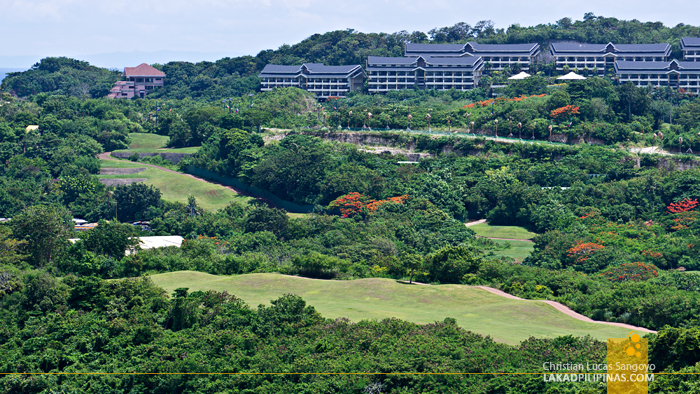 Turning left, the undulating golf greens and structures of Fairways fill the view before the treetops again rule the island. 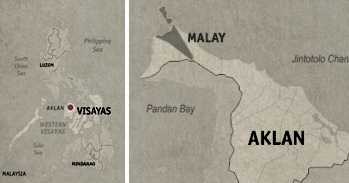 Southwards, the view opens towards Bulabog Beach’s almost two-kilometer stretch. It was actually the first time I noticed how long this beach is and how interesting its southern end looks like. It made me want to see more of this beach next time I visit Boracay. 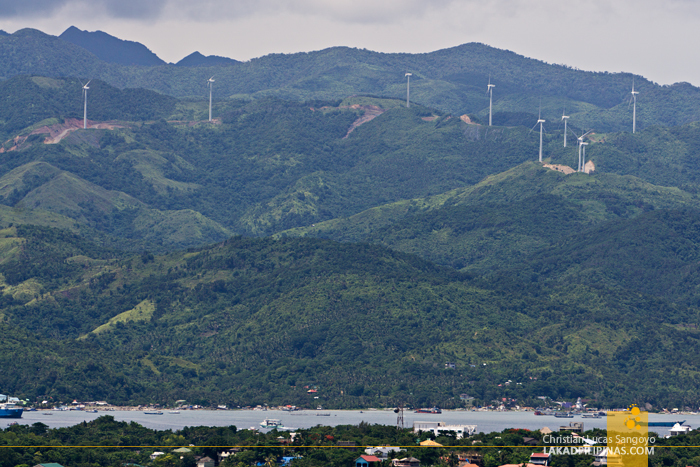 The famous Boracay White Beach is hidden from view, being at the other side of Bulabog, but the Nabas Windmills from mainland Aklan, which you can see from the beach, looks much more beautiful from this vantage. We spent quite a long time at the topmost deck, taking everything in and endlessly snapping away with our cameras. It was high noon at the time and we endured the scorching midday sun just for the view. 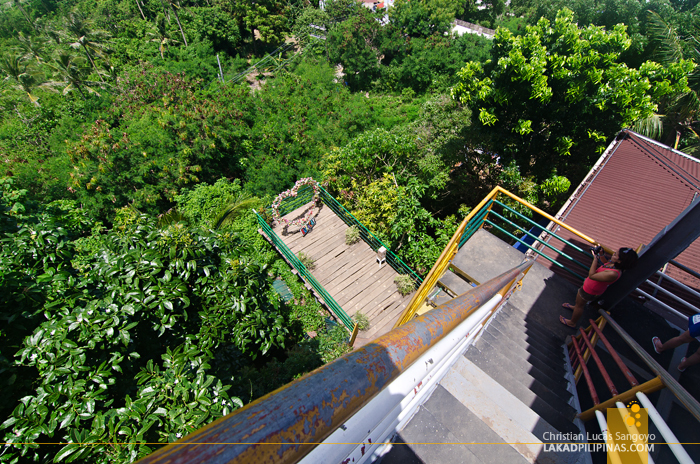 The entrance fee going to the Mount Luho View Deck isn’t really cheap, but almost everything in Boracay is expensive. If you have cash to spare, a visit to Mount Luho, especially during sunset is definitely worth your hundred and twenty pesos. 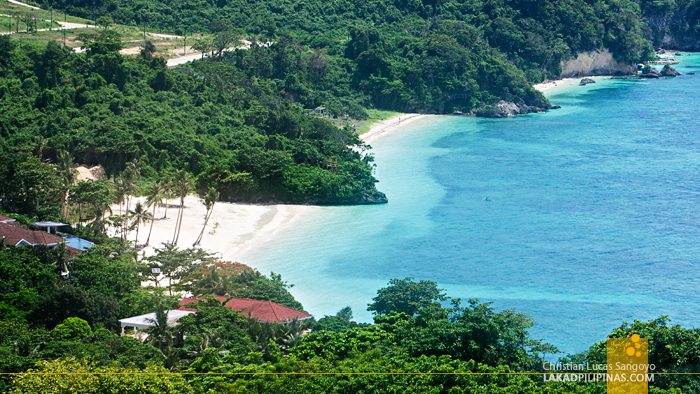 It’s a chance to see Boracay from a different perspective without burning through your bank account for a chopper ride. You didn't mention the entrance fee? Only the tricyle fare? 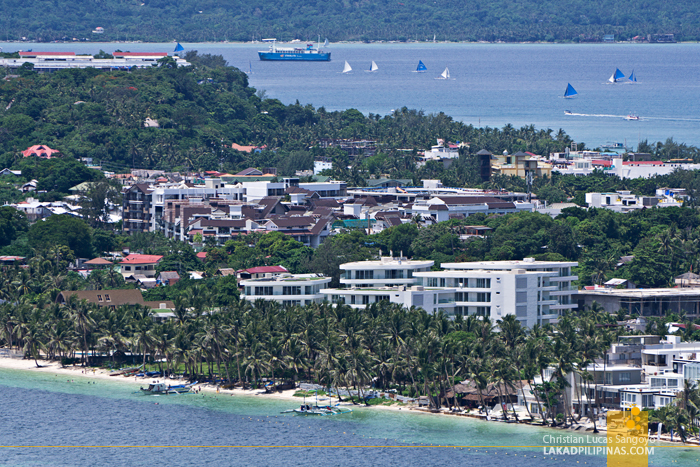 At any rate, the view is really nice, save for the fact you'd also get to see how truly modernized Boracay is now. Breaks my little green heart. Great view, nonetheless! And I'm glad you enjoyed the trek. I know how you despised the one we had in Padar! Haha! "didn’t take ten minutes. My kind of apex assault" - It sure is. Lol. Guys, may helicopter din dito! Haha tama ba terminology ko?! Anyways, going up to Mt. Luho wouldn't require mountaineering experience, haha. Hi Christian, great article again, the pictures give a very good impression of what Mount Luho is like, and good info too. 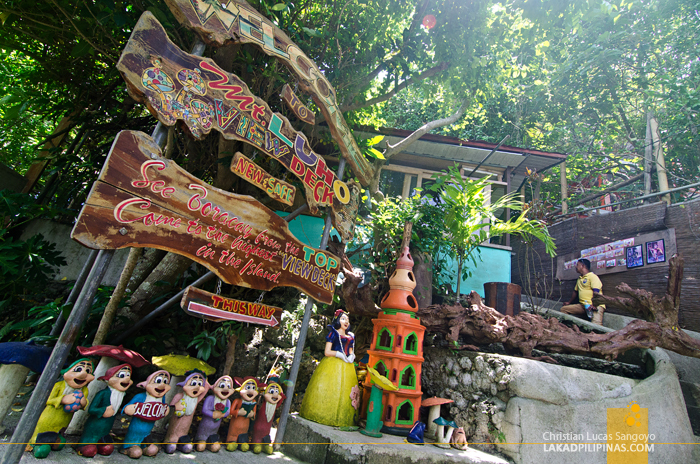 I'll link to this article of yours from a new things to do in Boracay guide that I'm currently writing for my website. By the way, did you see my email or Facebook message to your page? I contacted you over a week ago, but didn't yet get a response. It says open at 7am. So no chance for a sunrise view? Some parts of the Mount Luho view deck can be accessed without going through any gates, so I guess you can shoot the sunrise from there.